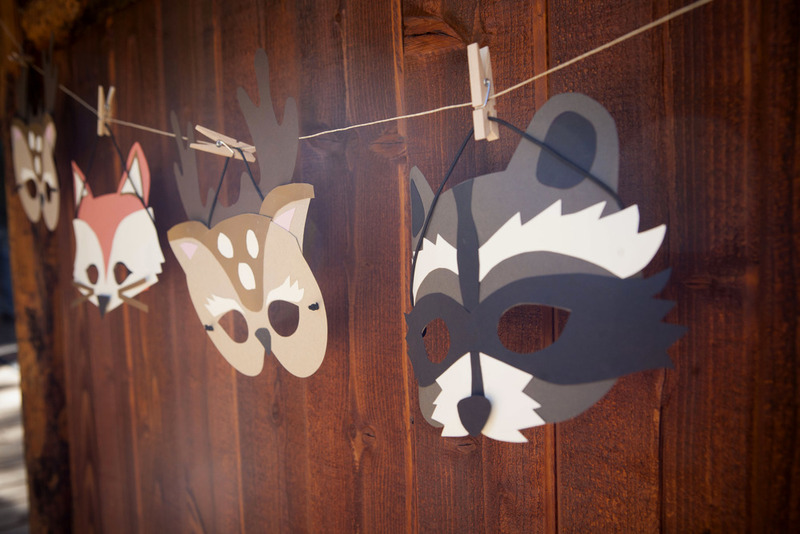 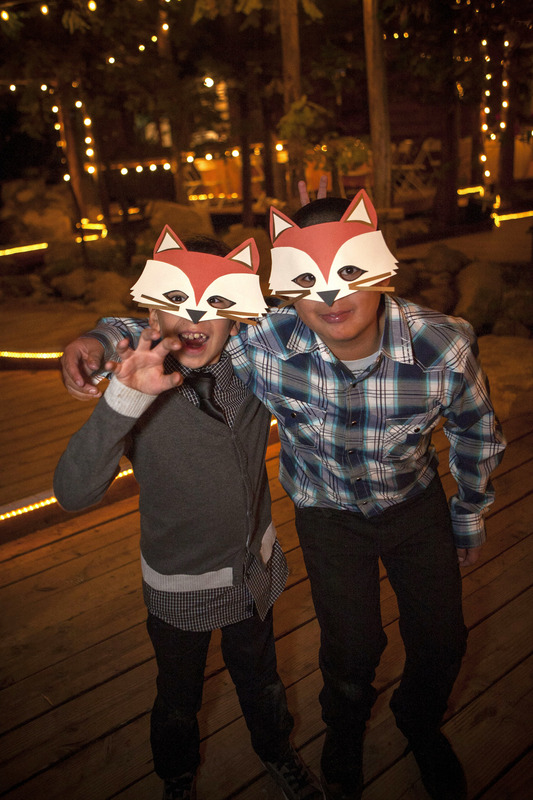 Woodland creature masks, pine forest and rough hewn wooden cabins. 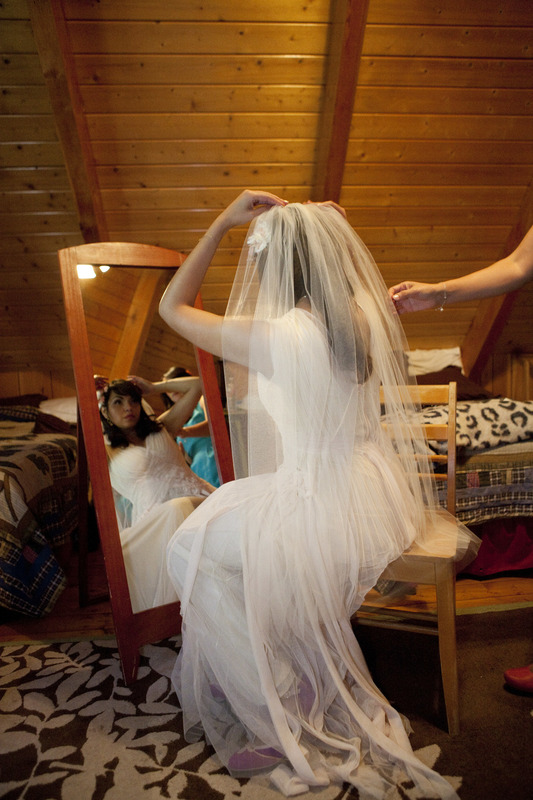 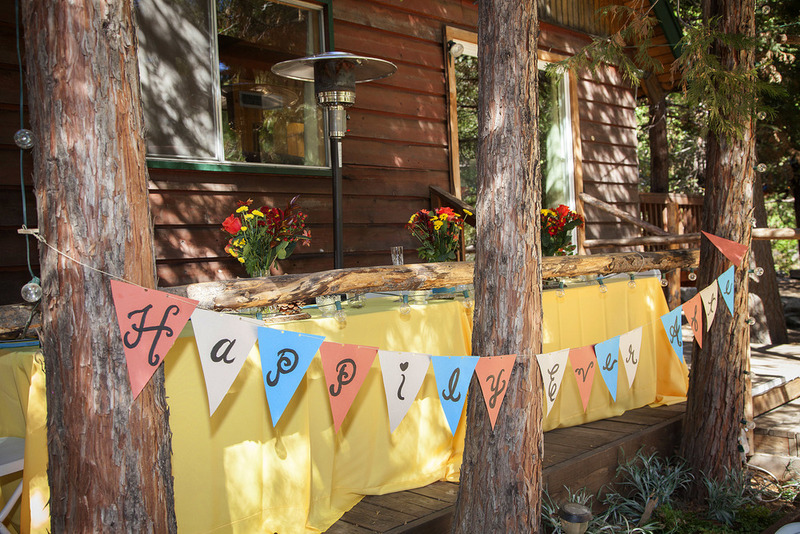 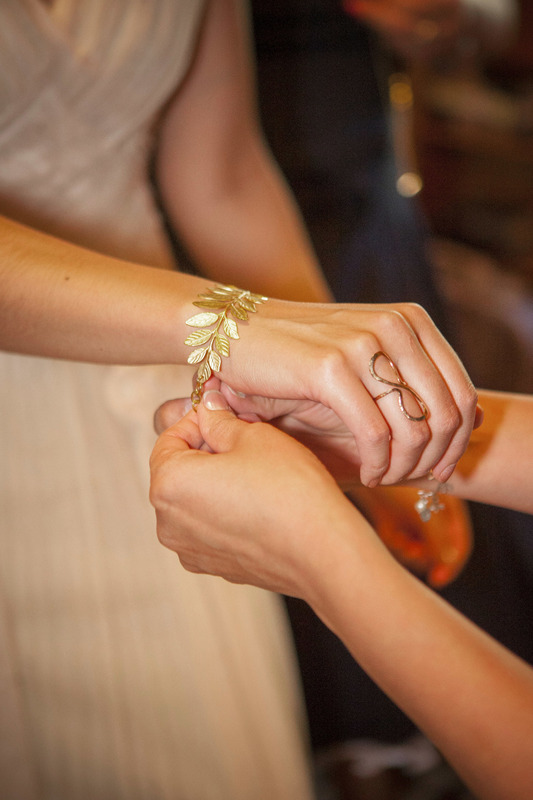 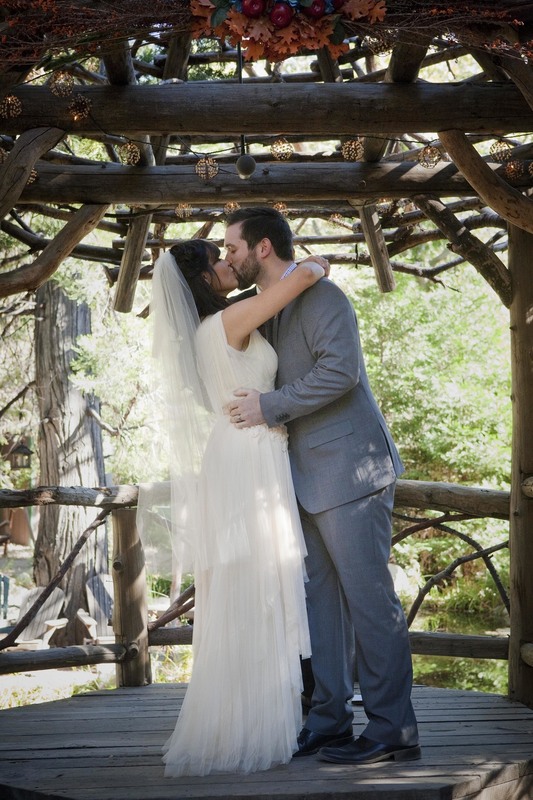 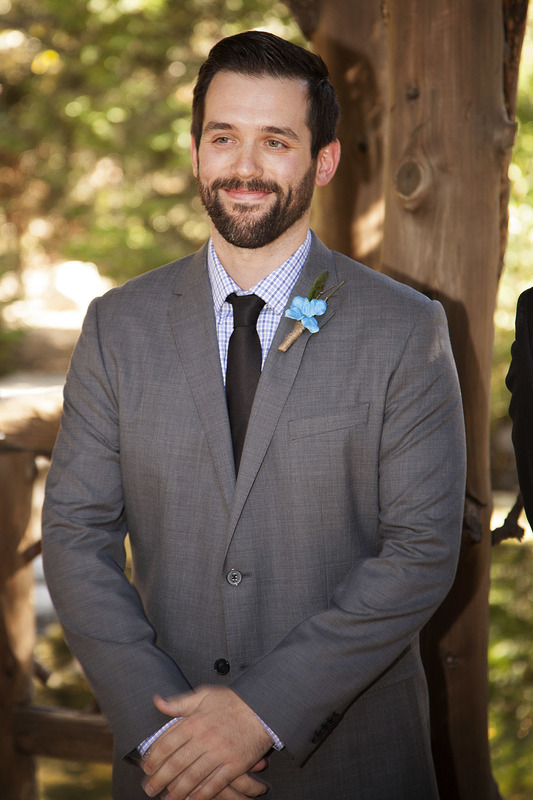 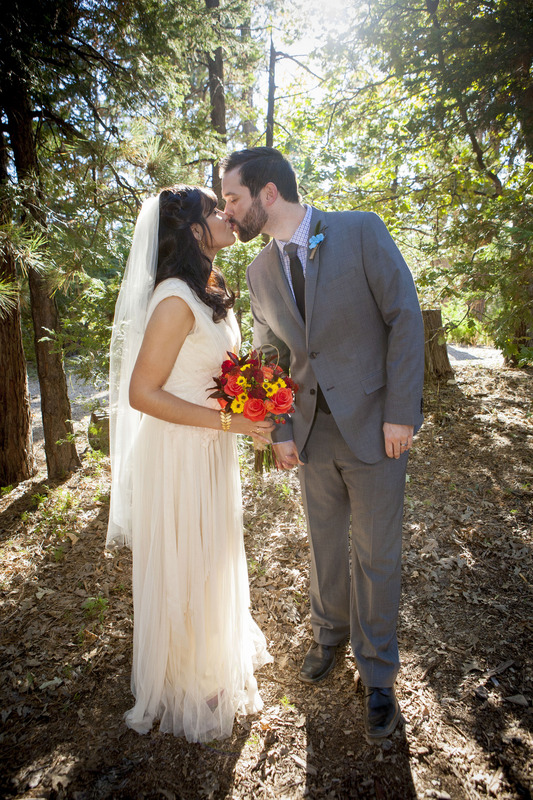 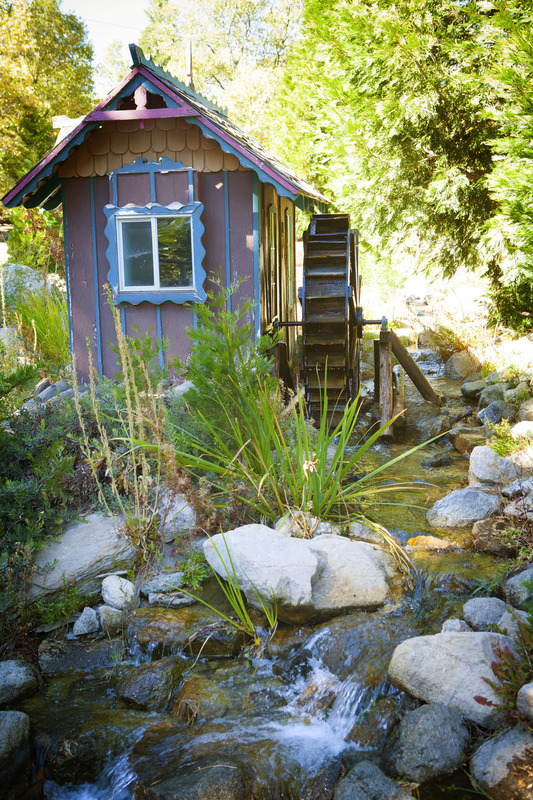 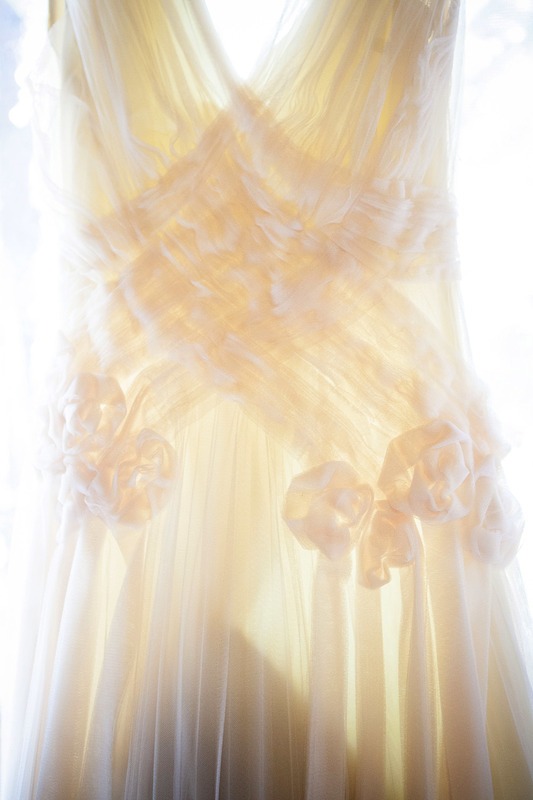 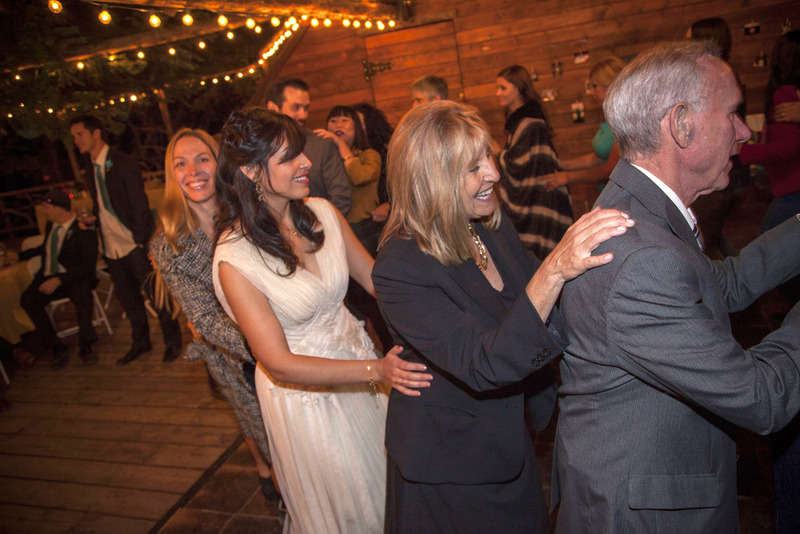 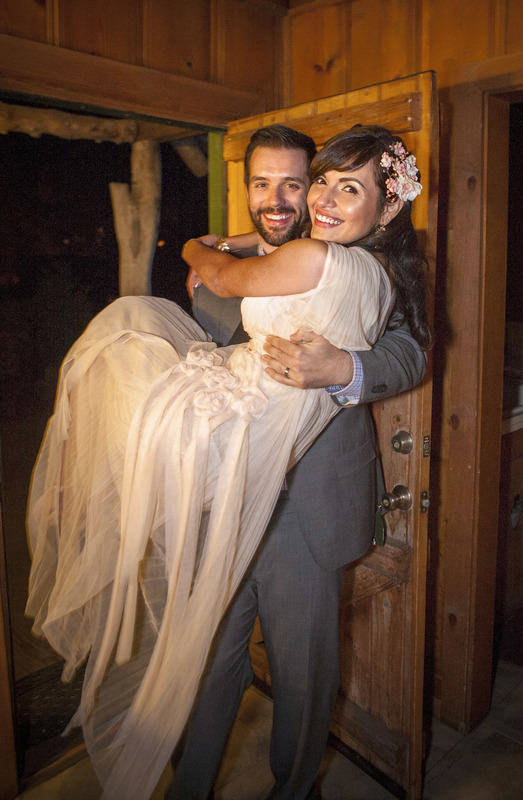 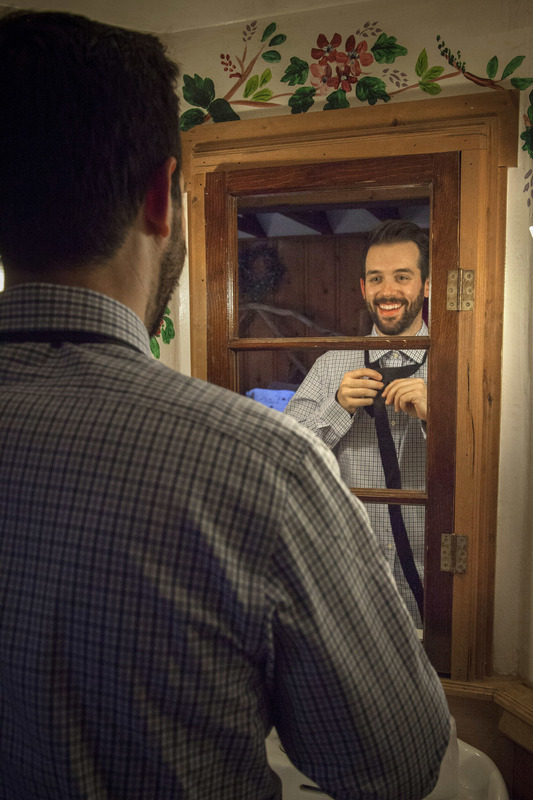 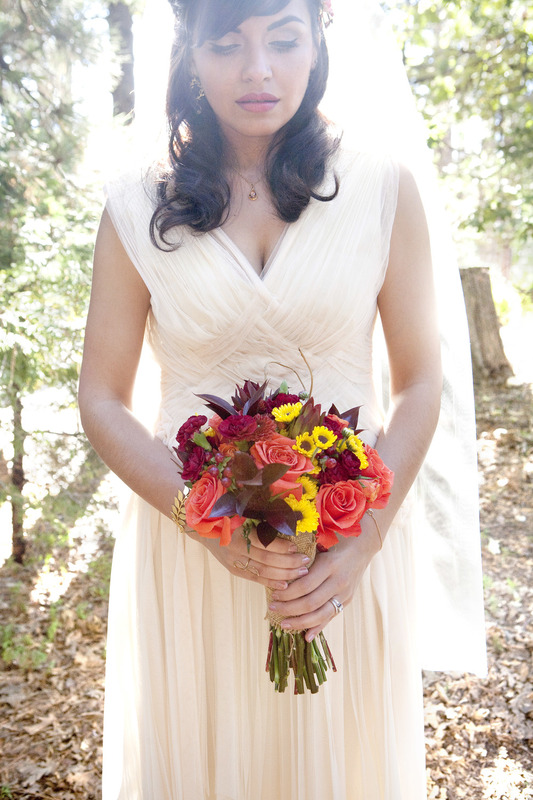 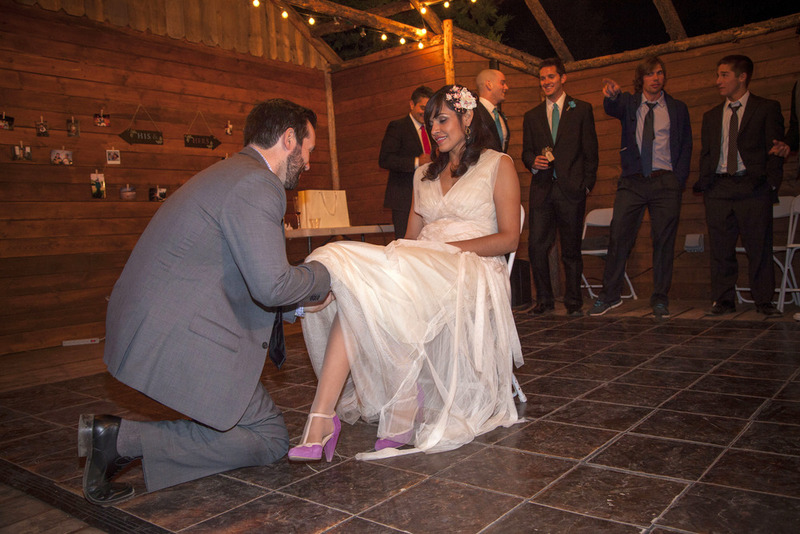 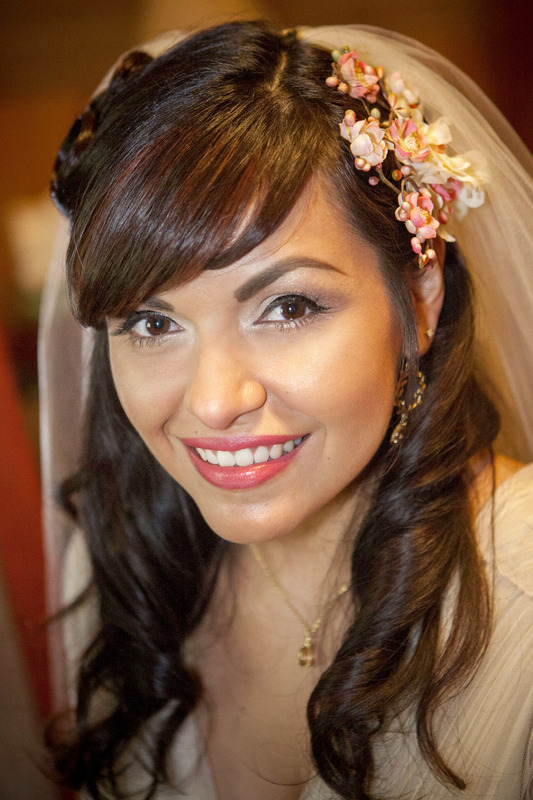 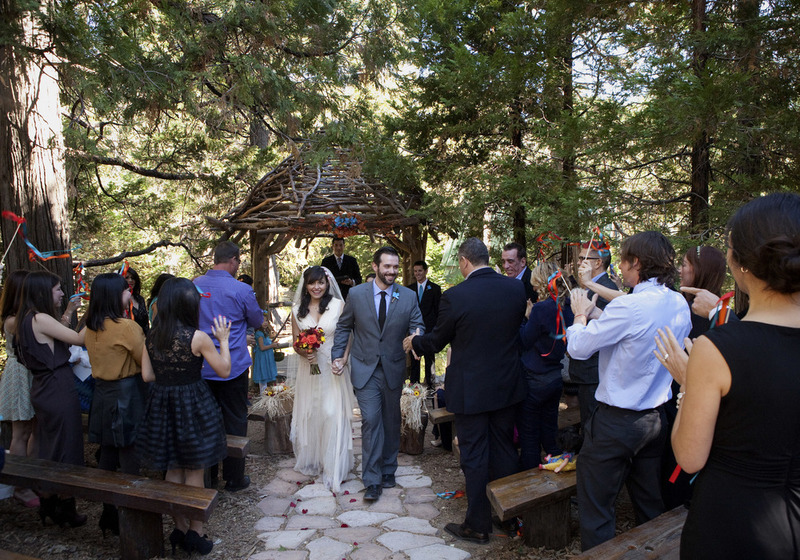 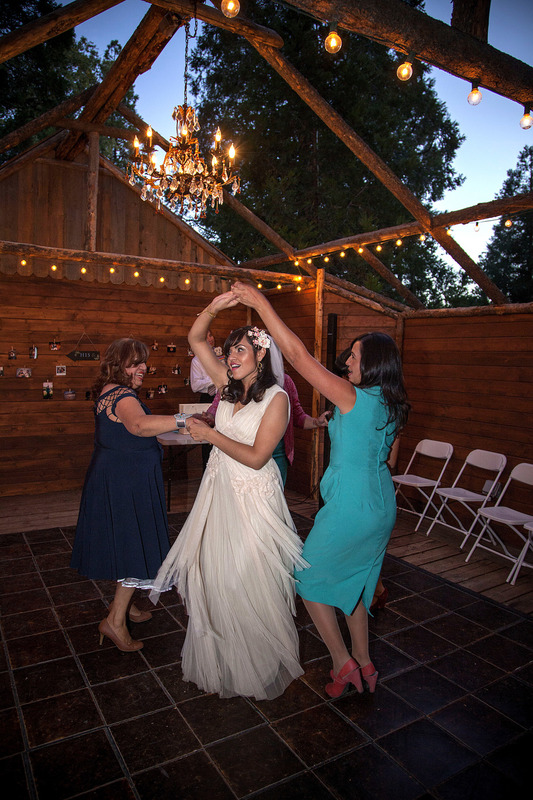 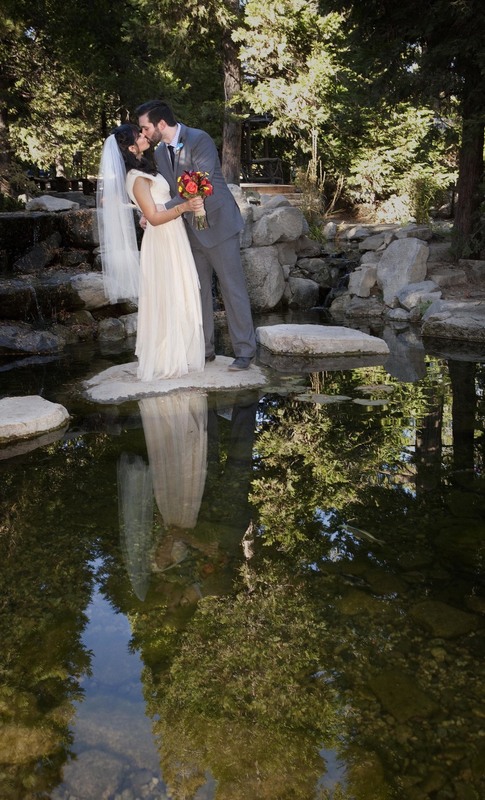 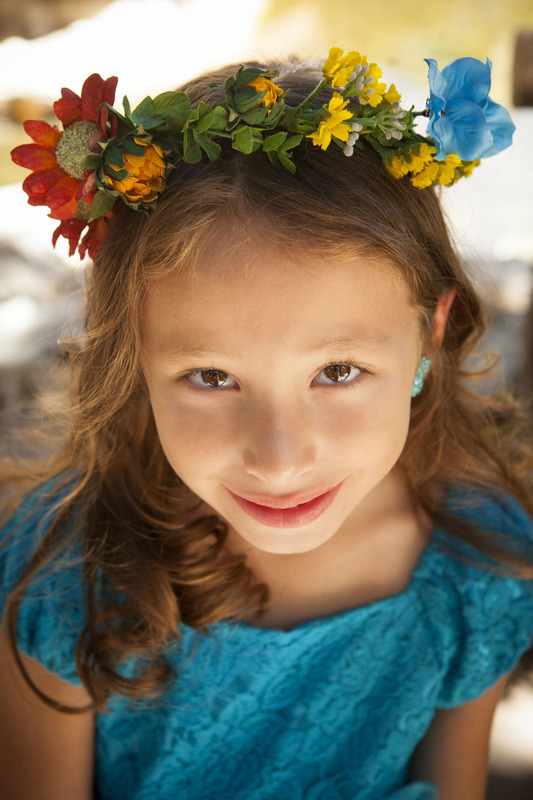 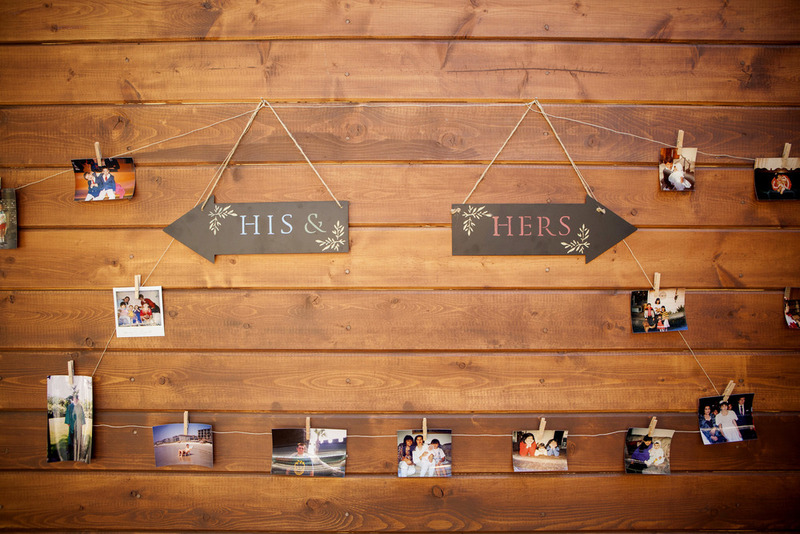 Erica and Billy's autumn wedding in the mountains at Cedar Creek Location at Arrowhead Pinerose Cabins, Lake Arrowhead CA was truly a woodland delight. 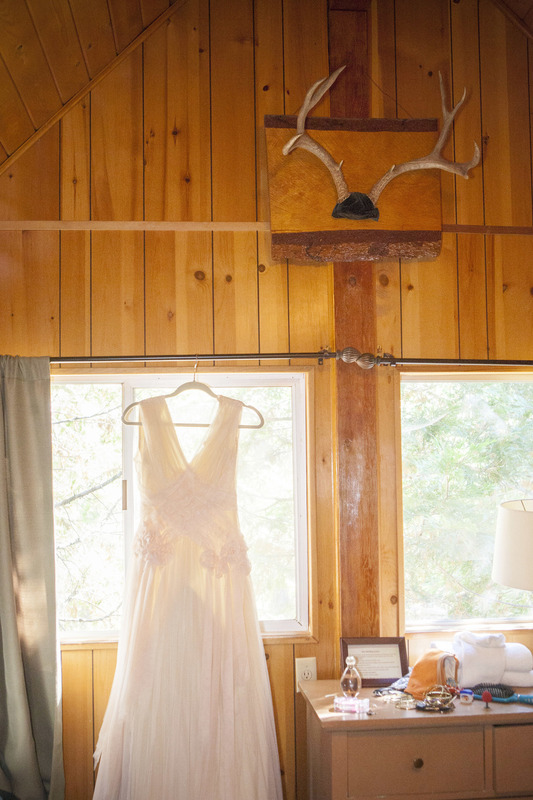 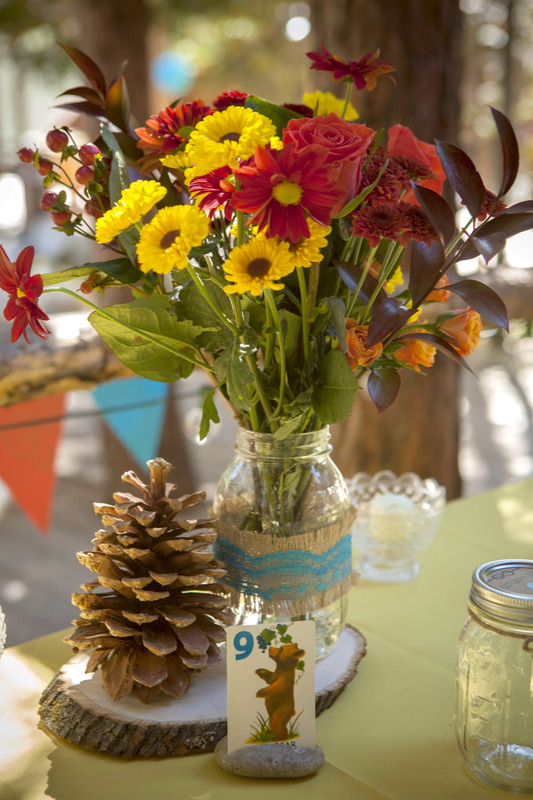 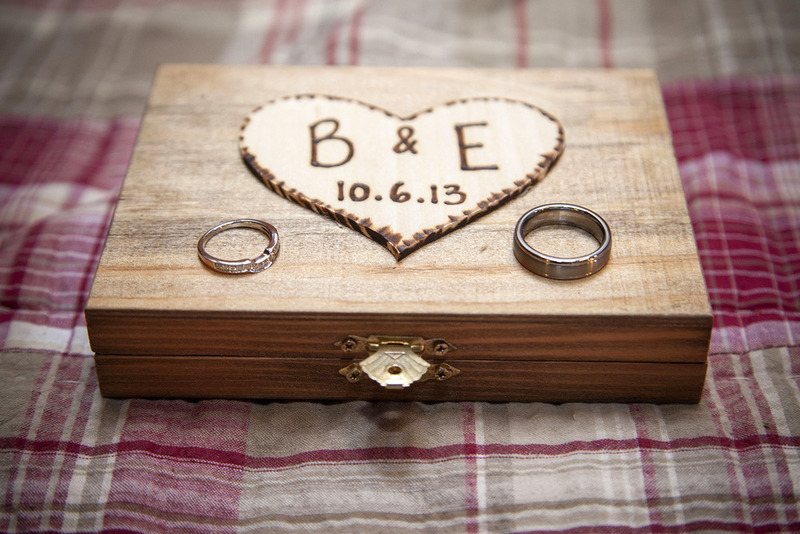 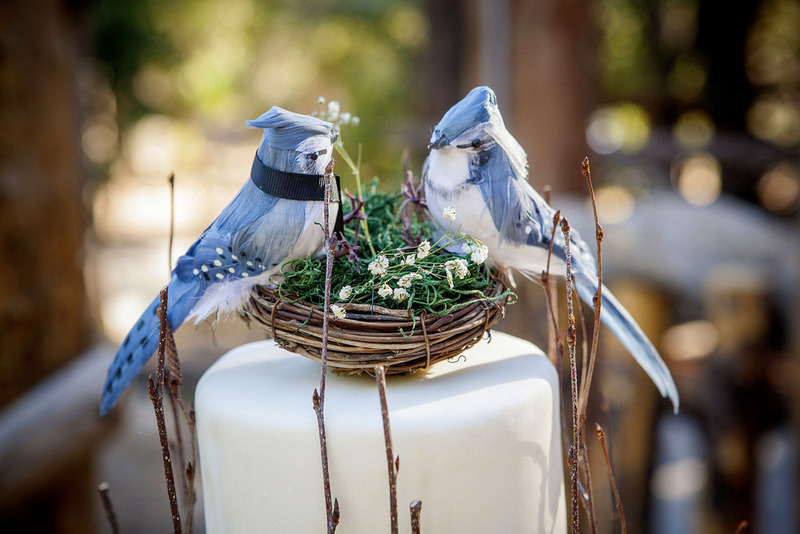 Charming rustic atmosphere abounded... a nesting birds cake topper, chandeliers in the trees and pine cone details. 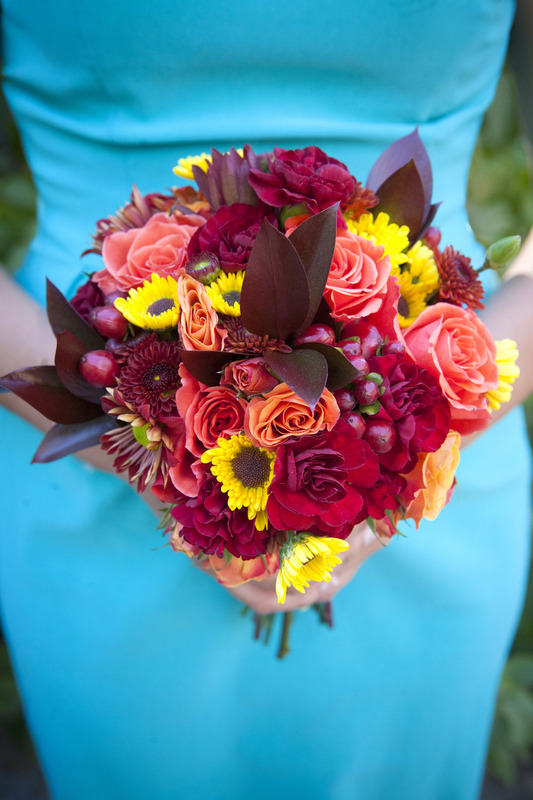 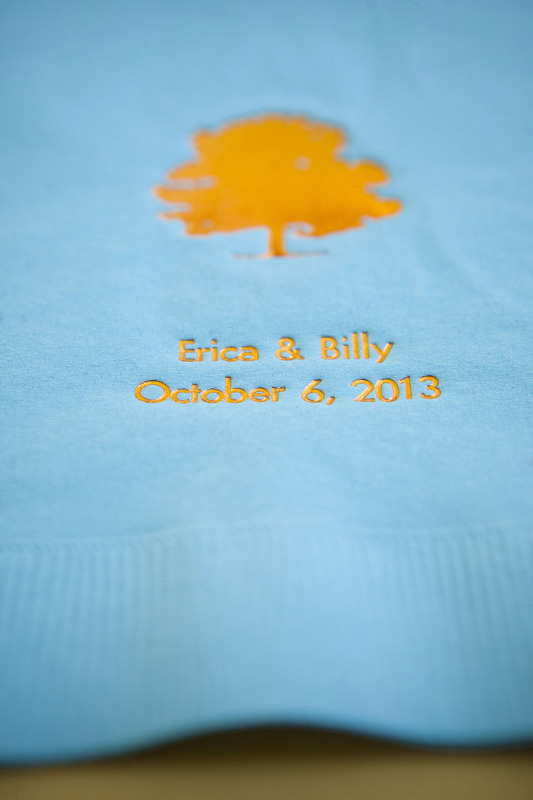 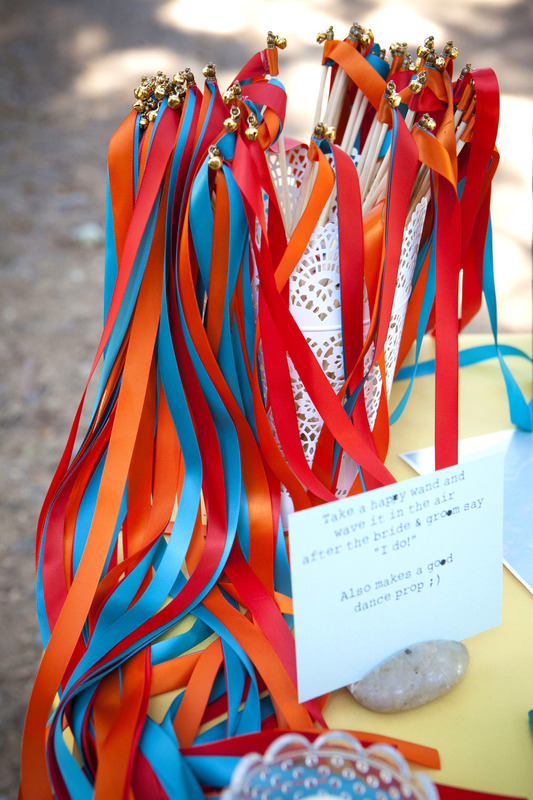 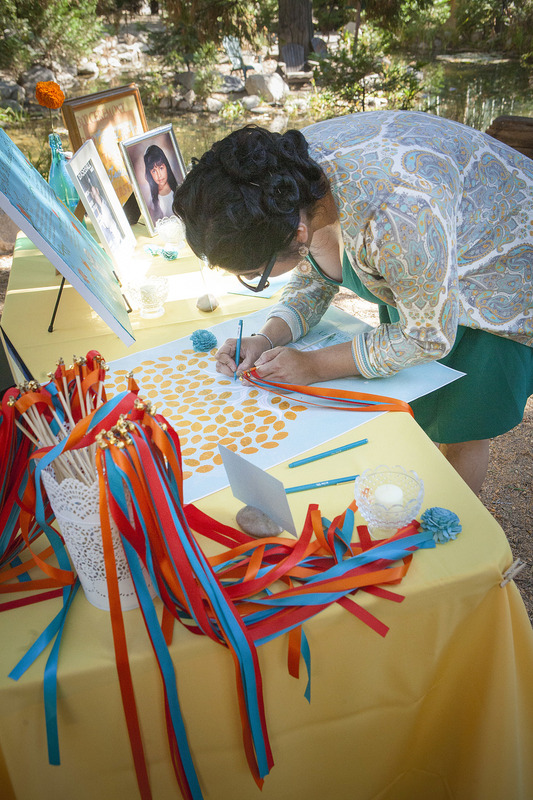 Fall hues of oranges, reds and yellows were perfect with pops of turquoise blue. 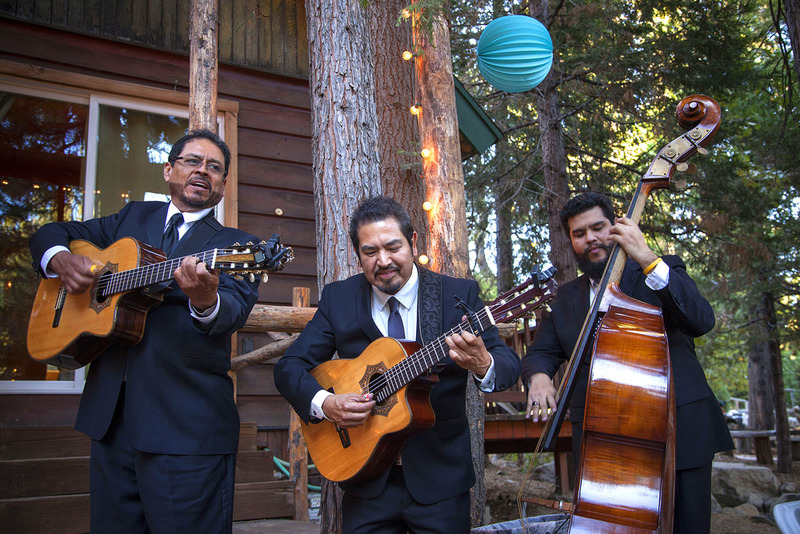 A mariachi band played during dinner, a nod to the bride's heritage. 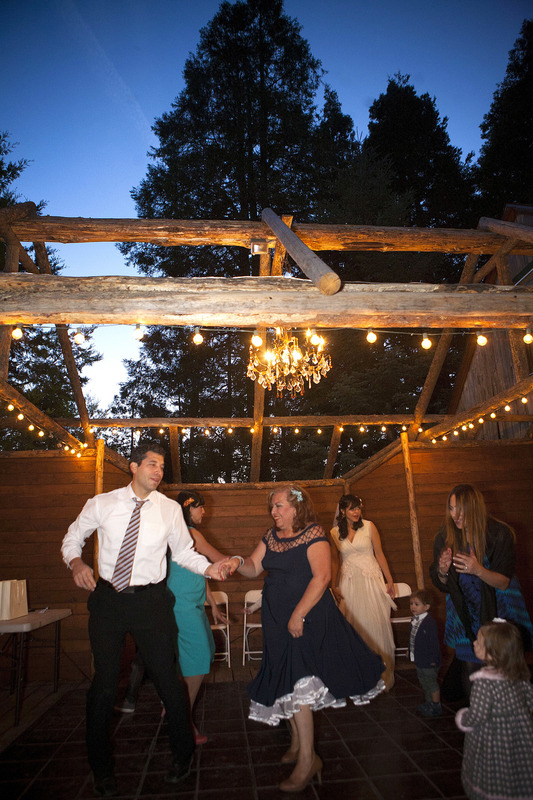 The dancing started up just as the sun went down.